One of our organizational goals is to provide resources to those teaching and learning the recorder and its music so as to nurture the next generation of recorder players, and improve the visibility and stature of our instrument. We offer the following resources to members and non-members alike, though we encourage you to consider the additional benefits of membership in the ARS. John Tyson's Recorder Power. This exciting and inspiring 47-minute video is targeted at classroom recorder teachers, and was produced for the American Recorder Society by ArtsMedia, Inc. and supported in part by the National Endowment for the Arts. Vicki Boeckman's How to Play the Recorder, and How to Play Simple Songs on the Recorder. Each of these topics includes a sequence of five videos, narrated and demonstrated by Vicki Boeckman, a professional recorder performer and teacher based in Seattle, WA. Each of these videos includes printable supplementary material. 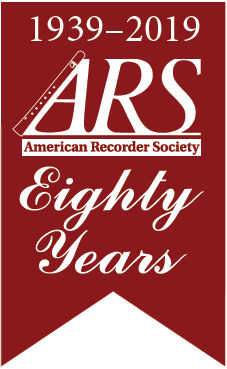 Many ARS Chapters and Consorts include members who are happy to come to your school for "show and tell" sessions to introduce your students to the recorder and its music, typically allowing students to see and even handle a variety of recorders from very small to very large. These groups have specifically indicated their willingness to do so in their membership record. You might also search our General Directory for groups near you. Among our members are professional recorder teachers, who have identified themselves as such on their membership record. You may search this directory to find a recorder teacher near you. As an ARS member, you may apply for grant funding for your Educational Outreach program, or for a scholarship to weekend or week-long recorder workshops for your personal enrichment. Grant funding might provide funds for purchase of recorders for your school program, or other enrichment activities.